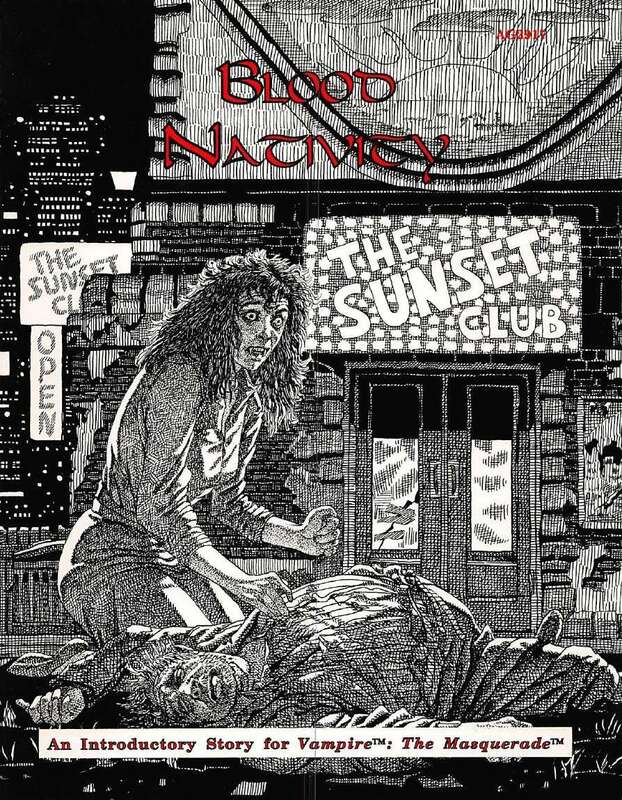 Created for the first edition of Vampire: The Masquerade, Blood Nativity is designed to be a troupe's first story. The players begin as normal humans, attracted by an enigmatic invitation to a private dinner at the Sunset Club. By dinner's end, they find themselves following an inexorable trail into shadowy undeath — life as vampires themselves. Now they must survive their dangerous first night as Neonates. Will they fall victim to the mad, insatiable Hunger within, or will they be destroyed by the light of day, which they must now curse? This title was added to our catalog on June 13, 2014.